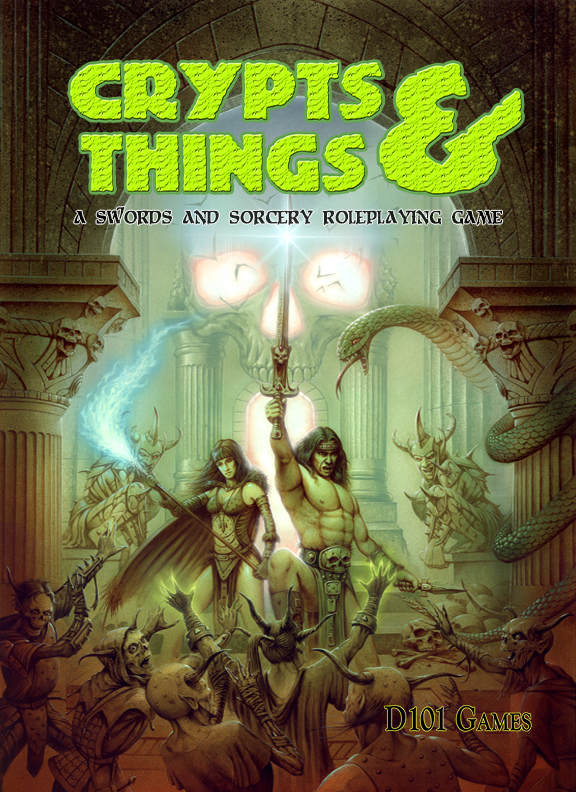 The first issue of an irregular ‘zine for Crypts and Things, with content compatible with other Old School games based on 1st or Original editions. 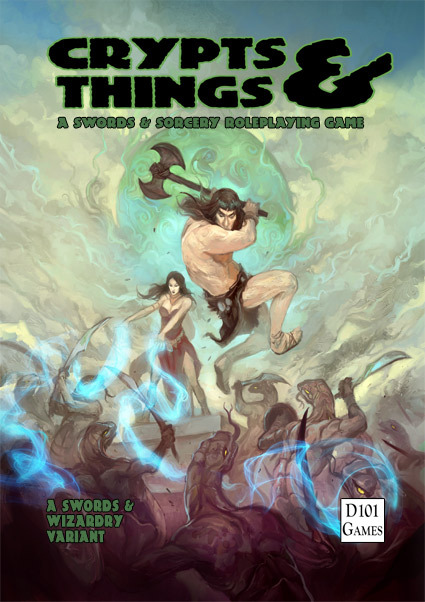 Limited Edition of 23 signed printed copies + complementary Pdf available only from d101games.com/store. With art by David M. Writght and cartography by Glynn Seal (MonkeyBlood Design). 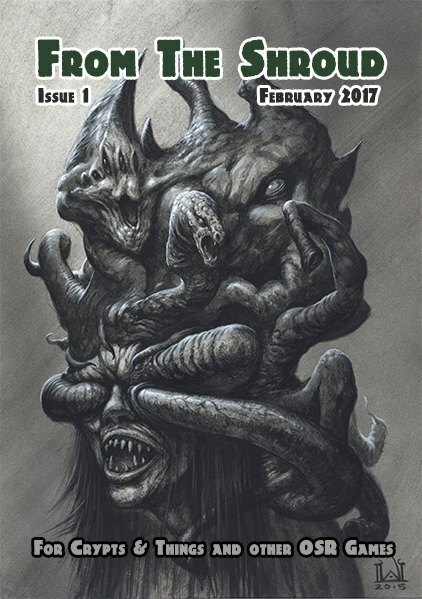 The first issue of an irregular ‘zine for Crypts and Things, with content compatible with other Old School games based on 1st or Original editions. This small tome contains the following fragments of fear to bring your games to life. The Tea Party of Doom. A short encounter somewhere in the dark dismal woods with a crazy immortal Alchemist who has been playing with the psychoactive toads and their potential to provide tea..
Limited Edition of 23 signed printed copies + complementary Pdf available only from d101games.com/store. With art by David M. Wright and cartography by Glynn Seal (MonkeyBlood Design). NOW SOLD OUT.